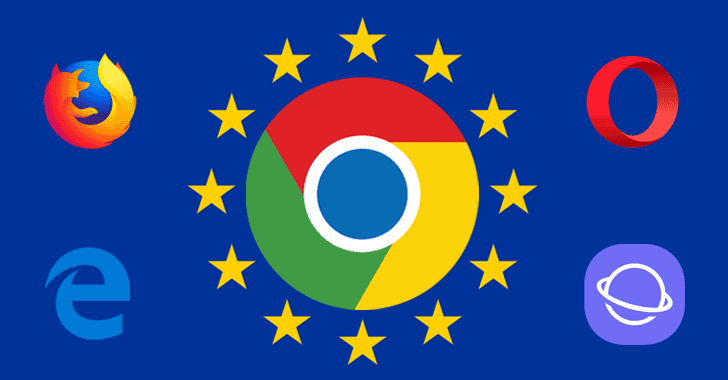 The European Commission accused Google of forcing Android phone manufacturers to "illegally" tie its proprietary apps and services—specifically, Chrome and Google Search as the default browsers—to Android, unfairly blocking competitors from reaching consumers. "Now we will also do more to ensure that Android phone owners know about the wide choice of browsers and search engines available to download to their phones," the company says. Google also said Android users have always been free to download any browser and search engine apps they want, "irrespective of what came pre-installed on the phone," noting that "a typical Android phone user will usually install around 50 additional apps on their phone." The company has likely come up with these latest changes to show the European Union its "continued commitment to operating in an open and principled way." Not just for Google's mobile operating system, but the European Union also fined Google $2.7 billion in June 2017 over abusing the way it prioritizes its own shopping results at the top of its search results at the expense of its rival products. In the latest blog post, the tech giant also announced some changes to Google Shopping, which includes providing "direct links to comparison shopping sites, alongside specific product offers from merchants."